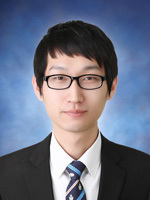 Sungjae Jung is a researcher at MediBloc, South Korea. He received M.S. in Medical Science from Ajou University, Suwon, South Korea in 2017, and B.E. in Computer Science and Engineering from Soongsil University, Seoul, South Korea in 2013. He had worked at Seoul National University Hospital as a researcher, and IDINCU as a full-stack developer, and kt (Korea Telecom) and spoqa as an internship. His research interests are implementation of privacy preserving machine/statistical learning methods, and development of applications of them. He joined OHDSI in 2015, and participated in several medical informatics related projects. His achievements have presented in OHDSI Symposium; 1) A regression analysis method for distributed large-scale data analysis. 2) Comparison of combination treatment in hypertension. 3) A web based integrated code generating system for cohort analysis (similar with the Estimation function in ATLAS platform). 4) Conversion of National Health Insurance Service (NHIS) Data of Korea to the Observational Medical Outcomes Partnership (OMOP) Common Data Model. 5) AURORA: analytic code managing and distributing tool between researchers and data partners. He has developed 4 R packages for OMOP CDM; 1) the Comparison on Extreme Laboratory Test results (CERT). 2) the Comparison of the Laboratory Extreme Abnormality Ratio (CELAR). 3) the subgroup-adjusted normalization (SAN). 4) the Prescription pattern Around Clinical Event (PACE). He has involved in KOHDSI (OHDSI in South Korea) member to help organizations set environments and/or OHDSI Tools up, and support troubleshooting with them. Currently, he is working on a project to build a PHR purposed Blockchain containing EMR or health-related data. Kyoungwon Jung, John Cook-Jong Lee, Rae Woong Park, Dukyong Yoon, Sungjae Jung, Younghwan Kim, Jonghwan Moon, Yo Huh, Junsik Kwon (2016). The Best Prediction Model for Trauma Outcomes of the Current Korean Population: a Comparative Study of Three Injury Severity Scoring Systems. The Korean Journal of Critical Care Medicine. Minseon Park, Sung Jae Jung, Seoyoung Yoon, Jae Moon Yun, Hyung-Jin Yoon (2015). Association between the markers of metabolic acid load and higher all-cause and cardiovascular mortality in a general population with preserved renal function. Hypertension Research.